A common conversation between men might be about ‘the good old days.' Those were the time when things were simpler, technology didn't rule lives, and things were made to last rather than be used for a few years at most, and then be thrown away. 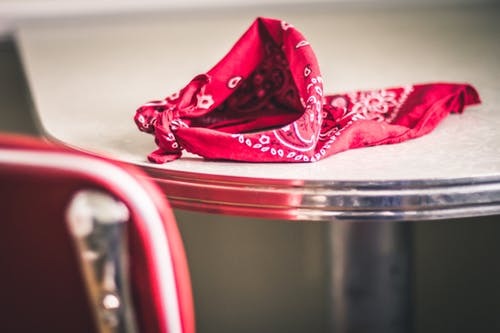 One classic item that has been lost recently is the handkerchief. Only a generation or two ago, this would have been a staple in any man's everyday carry. If you're walking or riding your bike into town or work, and it starts raining, a handkerchief is the perfect thing to pull out to save using the sleeve of your jacket, and making it even wetter. Wipe yourself down, and then pop it in the top pocket of your shirt so that it can dry. Perhaps similar to the previous point, when you have any spillages while eating or drinking, have no fear. Grab your handkerchief and mop it up, and save anything around the spill. Add some water and soap if you spill some sauce on your shirt for a quick clean-up job. If you hurt yourself while working out, or just take a general hit to the head, then your handkerchief can be used to make a quick ice pack. Simply grab some ice and use the handkerchief to wrap it up, and press to your bruise to save yourself from any ice burn and to take the edge off that lump. If you work in an office, the chances are you'll be staring at a screen most of the day. The screen of your laptop, tablet, and phone can get grubby pretty quickly. A handkerchief is the perfect thing to give your electronic device a quick rub down and polish it back up to its former glory. In the scorching heat, sometimes, just wiping your face with your newspaper or cap just isn't enough. Get your handkerchief out and run it under some cool water. You can then put this on the back of your neck, and feel the sweet relief as the water evaporates and cools you down. As you're working and doing jobs outside, the handkerchief is the perfect thing for cleaning down knives and other tools you've been using. If you've invested in a nice table, the last thing you want is to have rings on it. Put your handkerchief down on the table and protect the surface no matter where you are.